بني في 2010, Shotover Lodge هو ميزة مُضافة لـ كوينز تاون و خيار ذكي للمسافرين. يحظى هذا الفندق ذو 3 نجمات بمكان ممتاز يسمح بالوصول إلى المعالم السياحية الأكبر في المدينة، فهو يبعد مسافة 6 km عن صخب المدينة. سوف يعشق النزلاء موقع هذا الفندق، فهو قريب من أهم المعالم السياحية في المدينة كمثل حمامات الينابيع الساخنة في أونسن, القارب النفاث شوت اوفر, Southern Hospitality Limited . يقدم Shotover Lodge خدمات لا غبار عليها وكل أشكال اللياقة وحسن الضيافة اللازمة لإسعاد ضيوفه. هذه بعض الخدمات الموجودة في هذا الفندق: مطبخ, مرافق مخصصة لذوي الاحتياجات الخاصة, واي فاي في المناطق العامة, صف السيارات, مرافق للشواء. يمكن للنزلاء الاختيار من ضمن مجموعة من الغرف المصممة بعناية لتعكس جواً من الراحة، والتي يتجاوز عددها 93. يقدم الفندق خدمات رائعة كمثل حديقة لمساعدتك على الاسترخاء بعد نهار طويل من النشاط والتجوال في المدينة. إن Shotover Lodge هو مكان مثالي للمسافرين الذين يتطلعون إلى الراحة والاستجمام في كوينز تاون. يُرجى العلم بأن شوتوفر لودج لا يوفر انتقالات المطار. Facilities are pretty good. Backpacker style common areas with nice, private rooms. The kitchen is large with all the essentials. There is a nice dining/common area with a tv, fireplace, couch, table tennis and pool table. It was empty when we were there so we got to enjoy the whole common area to ourselves! Private rooms are decent, small kitchen in the rooms but you aren't allowed to cook inside the rooms. Bathroom smelt musty. Location is about a 10-15 min drive from town. It was nice to stay a bit further away from the hustle and bustle. A good stay and would recommend. it takes only few minutes of driving from Queenstown. The room is big and clean; and the area around is quiet. The lodge has a communal kitchen and you can use it to prepare your meal. 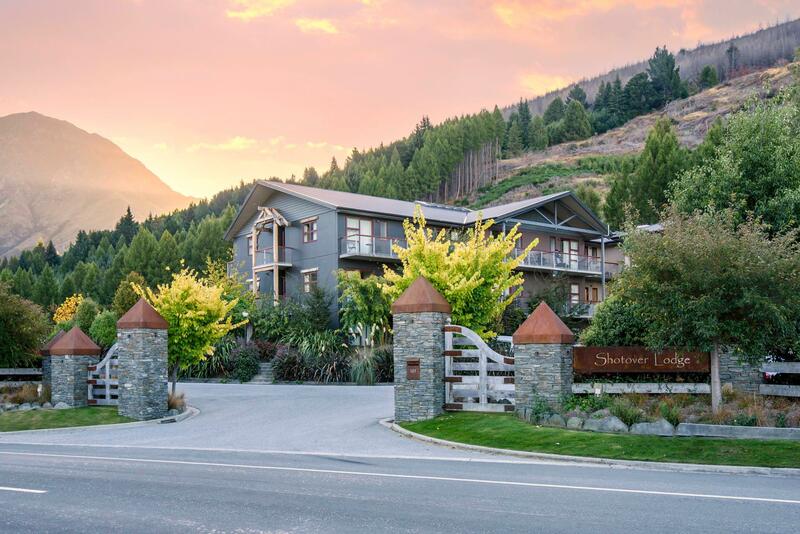 Rather staying at Queenstown, I will definitely recommend staying at Shotover Lodge. Clean and tidy, laundry facilities onsite and quick. We were on level 2 and the view from the balcony was great. Staff were welcoming and helpful with questions about the area. About 10-15min drive to Queenstown CBD and and easy 5min to the Shotover Jet location! Reliable wifi too. Clean and tidy room and bathroom. The studio room was not very spacious but ok for 3 adults. Had the basics we needed for an overnight stay but the communal kitchen looked well stocked. Bit out of town so will need a car but very peaceful and tranquil. Would not hesitate to return if we are in the area. Room was big and very clean, bathroom was clean and they provided nice soap and shampoo (not the generic type hotels usually give). Location close to ski area, not the place to stay if you are expecting a lake view. Less than 10 minutes drive to town therefore more convenient if you have a car. Would definitely recommend my friends to stay here for the great value of the room. Great location, lovely staff, great room but recommend soundproofing bedroom door to hallway as noisy guests later at night made it difficult to sleep. Unfortunately internet didn't work but we weren't there during reception hours to get fixed. Would recommend. We stayed for two nights here. It was a great stopover spot to come back and relax after two days of skiing. The staff at reception was so friendly, it had all the amenities we needed, the bed was comfortable, and we had our own mini kitchen in the room. Excellent value for money. We made a booking literally an hour before we arrived there - fairly easy to get a room and check in. Room was very simple, good enough to use to just rest. About 5-10 min drive to central Queenstown. We had a wonderful 2-nt stay at Shotover. The staff was very friendly and helpful. Jacob, at the front desk, far exceeded expectations when he helped get my backpack back to me after I left it in my room. Our room was clean, comfortable, with excellent wi-fi and kitchen facilities. We also enjoyed the grill and picnic tables. Good takeaway food is right next door. Lovely big room with fine bathroom attached all the facilities required with good close by restaurants. 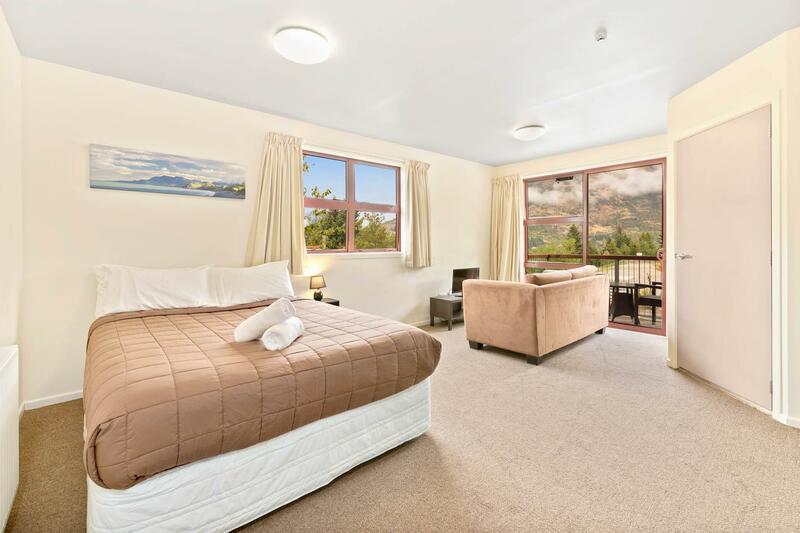 Great room, comfortable bed, location away from Queenstown but nearby shotover bridge, very budget and reasonable price compare the higher rate in Queenstown. Good accommodation, very clean and tidy, the room was spacious, warm with a comfortable bed and great water pressure. The staff were very helpful and good onsite parking. Great size room with a large bathroom. Kitchen facilities inside room as well as a communal kitchen. King size bed ultra comfortable. we got room at third floor, it was okay. at night, we cook our dinner and was good for cooking. Excellent hotel for budget travelers. Don't expect luxury but it has everything you need. Staff even let me take the kitchen french press to my room since I get up really early and then I replaced it when the kitchen opened. Thanks for being so accommodating! For the value especially, this was a great place. Huge and amazing kitchen for all guests to use, and great common area with nice pool/snooker table for free. Rooms are large with sink, mini fridge, and plenty of space. A short and easy drive to the center of town. Great place to stay with friends or family. My boyfriend and I had a great stay at the lodge. It was the perfect location. Our room was big and spacious with a deck and nice view. We spent Christmas here and it was very enjoyable. Comfy bed, tv, private bathroom and mini fridge. The only downsides were that you had to pay for wifi, and we found black hair all over the comforter and blanket in bed. Everything else was spotless. Would definitely stay again! Nice room from the hotel. Budget style room with very basic facilities. Internet drops often & they give you a serial code which gives access to limited data. when you complained to the staff that your data been limited but with agoda you paid for unlimited data they ask you to pay for data. Its so annoying.